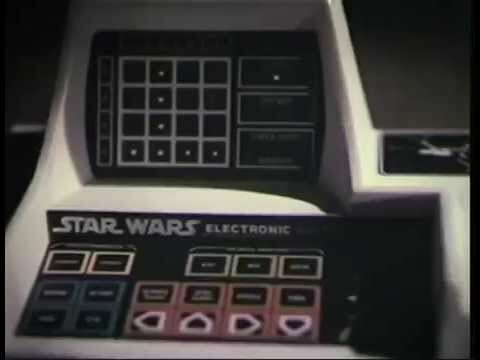 In 1979, Kenner released an electronic, micro-computer game aimed at the growing legion of Star Wars fans. 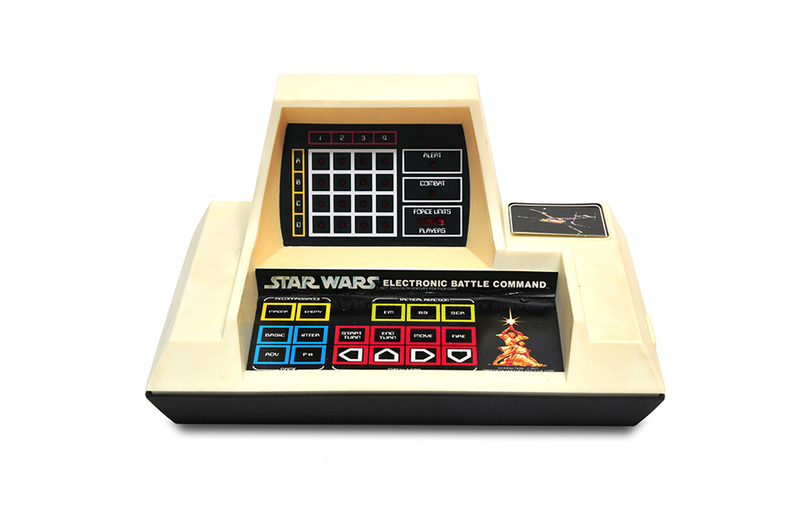 The Electronic Battle Command Game allowed from one to four players to engage in spirited “hyperspace combat”, pitting their X-wing Starfighter against an armada of enemy TIE fighters. Gameplay was powered through the use of a 4×4 LED coordinate grid that, making the game essentially an outer-space version of Battleship (the classic strategy game, not the movie, which we’ll pretend never happened). The game offered three levels (basic, intermediate, and advanced) of play, each with its own pre-programmed teach mode. At each level, players take turns exploring space by scanning the grid to examine star systems, locate enemies, avoid black holes, encounter space wrinkles, and search for MAGNA, “the FORCE giving star”. The simple user interface was augmented with a series of audio cues, including simulated battle sounds, re-alert warnings, and combat signals. Taking a page out of Wham-O’s playbook of sensationalistic advertising, the game’s rulebook billed the Star Wars Electronic Battle Command Game as “the most exciting computer game you will ever play”. While this was clearly a dubious claim at best, I do recall spending many an hour plotting evasive maneuvers, watching my force units dwindle, and manning battle stations. For budding cinephiles in the 1960s & '70s, Kenner rolled out a whole host of toys for watching movies and cartoons of popular characters of the day. One of the more short-lived and quirky toy lines was the Cassette Movie Projector.